HFCC started off by staging tractor events around the year 1999 to raise funds for the memorial project and we are still holding events at the Homestead every August. We finally achieved our goal in August 2008 and we are proud of the finished project in memory of our genius Harry Ferguson. We thank all those who have supported us in attending our events in the past and subsequently helped us raise the funds to complete this memorial garden at Growell Co Down. The memorial garden is set opposite the Ferguson Homestead and exhibits a life size bronze statue of Harry and has the facility to display a Ferguson tractor on site plus information and history boards throughout the garden. The memorial garden is designed so that photographs taken will include the homestead in background. 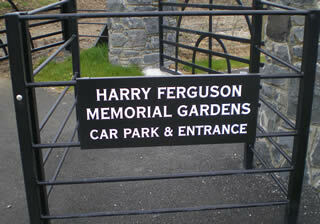 After years of campaigning and fund raising the HFCC first displayed the Harry Ferguson Memorial Gardens on the day of the 2008 Ferguson Homestead Event. The gardens were not “opened” that day due to the worst rain seen in years: they were officially opened on the 2009 Homestead Day. Enjoy these pictures (below) of the gardens, and come down to take some of your own! 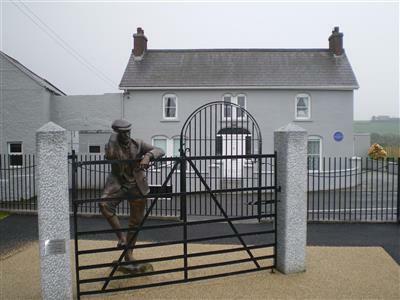 Designed and created by Mr John Sherlock RUA the statue of Harry Ferguson takes pride of place in front of Growell farm house at the focal point of the memorial gardens. 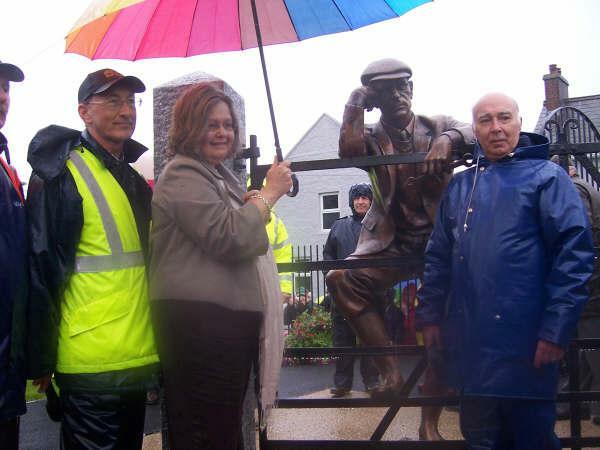 The statue was unveiled by Mrs Sally Flemming, the grand daughter of Harry Ferguson, at the 2008 Ferguson Homestead Event.